In the wake of the UK’s Brexit vote this year, it remains to be seen how the EU General Data Protection Regulation (GDPR), slated to come into effect in 2018, will impact on British businesses in the long run. Businesses have until 25 May 2018 to prepare for GDPR, which sets out uniform rules for data protection rights across the EU, as it will have direct effect on all member states from this date. Any company – no matter whether it is inside or outside the EU – that deals with data of European citizens will have to abide by the GDPR. We are clearly living in an age when data protection is becoming increasingly regulated, so here are a few tips that will help your business tighten up its policies on customer data. Some companies, including SMEs, fall into the habit of running their software updates during quieter periods when they envisage less disruption to day-to-day business. However, pushing back these required patches could increase the potential for an attack which could compromise your customer data. There are hackers who are always on the lookout for new methods of exploiting gaps in security, so be prepared to sacrifice time and, where necessary, invest in new ways to secure your network. Sensitive personal data – such as political or religious beliefs or information about health or sexual orientation – is the customer data that you should be especially wary of allowing to fall into the wrong hands. You should know exactly who has access to your customer database and change passwords regularly. Keeping hold of personal customer data which you no longer need is a breach of Principle 5 of the Data Protection Act. Information such as names and addresses might be useful to your marketing objectives, but storing data such as credit card details is often not required and is simply adding to the risk should a security breach occur. Encryption technology should be used to ensure an extra layer of security is provided. Encryption basically encodes data so that only users with access to the correct ‘key’ can read that information. It works by providing a safeguard against the unlawful access of data. It is also important that the vendors and partners with whom you work are able to demonstrate a sufficient level of security, particularly if they have access to your customer data. Always ask third parties about their security procedures before you provide them with access to your IT systems or customer databases. Are you prepared for all eventualities in the scenario of a cyber-attack? You should have a plan in place. If not, consider creating one to protect your customer data and ensure the continued smooth running of your organisation. Your in-house IT support, or a trusted outside agency, must test your system regularly in order to identify potential vulnerabilities that could lead to the exposure of customer information. Cyber security experts or “white hat” hackers can also be brought in to examine the robustness of your security measures. The employees in your organisation should be given training on how to handle customer data properly. They must know the correct procedure for reporting any data breach (e.g. if one of their passwords is compromised). Extra security can be added by implementing a two-step login process for employees. At Simply-Docs, we have a wide selection of ready-to-use documents that will help you create IT and data protection policies. To talk more about how we can help you build procedures to protect customer data, simply contact our friendly team today. Could Becoming a Freelancer Be the Correct Career Choice for You? The freedom to pick and choose how, when and where you work are some of the big advantages of becoming a freelancer, and it can be tempting to jump right into the world of self-employment for these very reasons. 1. Do you have a portfolio of work? No matter how much experience you have, clients will always want to look at examples of your previous work to see if you’re right for them. If you don’t have a portfolio yet, be sure to prepare one and publish it on your website – or at least build up your LinkedIn profile. You could offer your services to friends or family for free or create your own projects. For example, those wishing to become a self-employed writer can create a blog to showcase their skills – and a budding freelance software developer could build an app or freely downloadable software. 2. Do you know how to pitch work? Depending on the nature of your freelance work, you may be required to pitch your services to clients face-to-face, over the phone or via email. You should have a well-rehearsed and persuasive pitch and be confident in your ability to sell your service, as well as yourself. If you struggle to pitch your work you might struggle to find clients. A successful pitch should explain exactly why you’re right for the job, bringing in prior experience and areas of expertise that are relevant to the client or job in front of you. Practise pitching to friends and family members first, and be sure to get your website copy right down to the[a2] last detail before using it as a basis for your pitch. 3. Could you offer competitive rates? Figuring out what you will charge for your freelance services is incredibly important but also pretty tough. You’ll want to earn enough to make your work worthwhile and to pay your basic monthly bills, whilst offering value for money to your client. You’ll also want to position your prices in line with your competitors in order to make your service appealing. Many freelancers provide quotes to their clients on a project-by-project basis, so you can assess every request that comes in and tailor your prices in accordance with the amount of time required to complete the job. But it’s always a good idea to also have a basic hourly and daily rate in mind, as some clients prefer to work on this basis. Remember that you need to offer clients value for money. Let’s say you’re a graphic designer who takes 10 hours to produce a logo. If you want to work at a rate of £40 per hour, you may quote a client £400 to create a logo design. If that same client has received a quote of £300 for the very same job from another freelancer, your pricing won’t seem like value for money. Will you be able to explain to your client why your pricing is higher, and what added value they’ll receive from paying you more? Perhaps it will be of superior quality, turned around faster or you’ll be able to provide the logo in multiple formats. Whatever your USP, be sure that you remain an appealing choice to potential clients by ensuring that you offer value for money. The biggest downside to working as a freelancer is the lack of a reliable monthly income, which is very daunting when you have regular monthly expenses to pay such as rent, mortgage or utility bills. Depending on the industry you work in, it may be possible to find clients who can provide you with work on a consistent enough basis that you can maintain a steady stream of income, but it is not a guaranteed wage. You also have to consider scenarios such as late payments from clients or unforeseen business expenses. To ensure that you can stay afloat at times where business is slow or invoice payment is delayed, you should have some savings behind you. Aim to save three to six months’ worth of income before you quit the day job and go freelance, as this should give you a good safety net for those tougher times. 5. Could you successfully maintain professional client relationships? One of the trickiest things about working as a freelancer is developing successful relationships with clients. Your clients pay your wages so they are the closest thing to a boss, but remember that you are running a business and do not rely too much on repeat business or view them like an employer. You also need to make sure that you’re paid fully and on-time. No matter how pleasant and reliable a client may be, you should ensure that contractual terms are agreed in writing in advance of starting any work to avoid misunderstandings further down the line. The idea of drawing up legal contracts, invoices and terms and conditions may seem daunting to new freelancers, but putting these in place can help to secure the success of your fledgling business. At Simply-Docs, we have a wide range of valuable business documents for freelancers, including invoice templates and a range of service agreements . Should You Run a Charity Like a Business? To remain financially stable in today’s competitive climate, a charity needs to run its operations with business-like standards. Just like a business, many not-for-profit organisations have a board of directors, executives, human resources personnel and a marketing department. So why run a charity differently from a business just because the goals are different? Successful not-for-profit organisations have strategic plans, keep financial records and have audits, so it’s important to invest in key aspects of the charity, just as you would with a business, to help it make a difference. When a business is doing well, consumers realise the value of purchasing its products or services. When a charity is doing well, donors enjoy seeing the rewards of doing something good. A charity needs a competitive, effective strategy to help it support its beneficiaries. Typically, charities have less resources and capital for investment so, in a way, it’s even more important for good business sense to play a role. The not-for-profit sector must ‘do more with less’ in every way, so needs to think differently to be more innovative and creative with what it has. In order for charities to experience business growth, sustained quality investment to promote their goals and values is crucial. A charity’s success should be measured by how its investments help it to raise more funds and do increasing amounts of good work. Charities should work to a set of standards that include leadership, transparency and results. The best way for charitable organisations to save on running costs is to work towards achieving streamlined processes with well-trained leaders, as spending vast amounts of money on staffing is not feasible and can eat away at funds better spent elsewhere. To this end, charity leaders could benefit from taking advice from small businesses; something that many may not even consider because they have never viewed themselves as a business. As with business investors, charity investors wish to see the results of their investment. To produce a sustained and strategic impact, charities must be run like a business, with strategy, discipline and a strong focus on outcomes. Any organisation receiving charitable support must be as accountable to the donors as a company’s board is to the shareholders. In a way, the donors are the stakeholders and therefore should be able to understand the ‘return’ on their investment. Otherwise, they may feel as if they’re throwing their money into underperforming organisations that aren’t spending it in the most effective manner. Anyone who supports any cause has the right to expect effective strategies and efficient operations to put their money to best use. For example, if an organisation is seeking to provide greater community amenities, it can prove the impact it’s having by counting the number of wells it has built in central Africa, or the number of playgrounds provided for poorer inner-city areas. Management skills are often as important as technical know-how. Trustees should search for chief executives who have the right qualities and skills to lead their organisation. Charities can benefit greatly from the experience of managers in the field who can make qualitative judgments based on comparing costs with benefits. Putting the focus on efficiency and outcomes will work for any type of charity, no matter who the beneficiaries are. Whatever the mission, there must be a balance between expenses and revenue, with goals being set so that funding will continue. There’s no aspect of running grass-roots and charitable movements that won’t benefit from a disciplined approach. Adopting sound business principles will make a charity more likely to accomplish its goals. It’s not always easy for charities to think like businesses. Due to the nature of the causes they support, some may find it more difficult to show clear, measurable goals. However, that doesn’t mean they shouldn’t try, as they owe it to the donors, managers, the board, the beneficiaries and the employees to adopt the best strategy possible to achieve their aims. In today’s technical age, when the internet has made it easy and inexpensive to collect data of all kinds, anyone who is passionate about a charity’s work has more options to find out how it’s performing. Collecting data can measure results, enabling the charity to improve its performance. Metrics should be seen as useful tools, rather than shackles. They can improve the effective use of money, time and people. A dream with a firm plan behind it has a better chance of becoming a reality. Today’s charities are a far cry from those that started life in the Victorian era to help impoverished sections of the community. In reality, many of today’s national and international charities resemble multi-million pound businesses, with funding coming from many quarters. As such, the managers should possess the skills to run an organisation of this size. Charities must focus on squeezing the best value out of every pound that’s donated. By stripping out unnecessary administration costs and streamlining operations, efficiency savings can equate to more money being donated to those who need it. Strong leadership and effective business acumen are transferable skills that can benefit not-for-profit organisations. Some new charities fail within a relatively short period of being launched. In order to have a sustainable, long-term impact, a charity must focus on achieving its intended outcomes and also making a surplus. Otherwise, it will be extremely difficult to continue operating, because in addition to fundraising for your cause, expenses must be taken into account, such as salaries, bills and other running costs. It’s crucial that finances remain steady because, however worthwhile the cause, if it’s being run by someone who can’t balance revenue and expenses, it’s going to end up in debt and will fail. Just like in business, it all comes down to maximising efficiency by having a good strategy, business-minded people in control and strong discipline to work towards a goal. How can we help? Simply-Docs have a wide selection of ready-to-use document templates designed to help charities run more efficiently. Intellectual property (IP) can cover a variety of elements, from patents and registered designs to any content you write for your business. It is crucial to the success of your company that you protect your IP, as this can be as important as the products or service you sell – sometimes more so. If your business is based on your IP (e.g. a patent), then it becomes even more vital to protect this. With that in mind, these helpful tips provide some easy-to-adopt practices that will help you protect your business and enable it to thrive and grow. IP is sometimes an intangible asset that can make or break a business. It encompasses creations of the mind, including patents, designs, literary and artistic works, and trade marks. IP can be protected through a variety of measures which offer recognition and help protect earnings. If managed correctly with conscious planning, this can safeguard a business’ assets and ensure healthy relationships with clients, partners and competitors alike. 2. How does IP relate to my business? Whether you are an inventor, creative designer, writer or software developer, your work will often constitute IP. If you seek the appropriate help and protect your idea, this can work to protect the longevity of your business, prevent competitors from benefiting from your IP and even give you options to sell your IP rights in the future. 3. How can IP affect my business? If unprotected, your lead competitor can take advantage of your IP, and potentially take your product to market before you. Speed is everything, meaning you could lose your competitive edge and potential customers, damaging both your reputation and cash flow. Once you have protected your IP, your competitive edge is safeguarded, along with your market share. This gives you a right of challenge, should anyone copy your work, but also the opportunity to sell these rights should you wish to step out of the market, or diversify your business. 4. Do I need a trade mark? If you wish to run a small, localised organisation, then a trademark may not be necessary. For those wishing to conduct their business online, have a niche product, or wish to develop on a wider scale, a trade mark could be of benefit. If you are unsure, always seek legal advice. Registered trade marks last for 10 years and, although they can take some time to establish, are a steadfast way of protecting your brand. If you work with contractors, freelancers or non-employees on any form of IP development for your business, you should put in place a written agreement which not only describes and records the IP, but which also contains a clause stating that all IP created belongs to your business. Otherwise, the IP can revert to the contractor. If you need to disclose any confidential IP or trade secrets to third party suppliers, either prior to negotiations or upon commissioning work, always draw up a non-disclosure agreement (NDA) beforehand. Every new business needs to plan for the future, so be sure to think about your IP before forging any new path for your business. Do you intend to take your idea to a wider market than you currently trade to, or are there similar products already in existence? If so, then make sure you have any relevant IP protection in place. The law is there to defend your IP. If you believe an organisation has copied your patented product, or plagiarised content you have created, then you may be able to seek redress. Solicitors that specialise in IP can guide and support you through any proceedings. 8. How does IP law protect me? Civil – and sometimes criminal – prosecutions can be made against those in breach of IP. However, most disputes can be resolved at an earlier stage, by simply using a cease and desist letter. Many businesses whose IP has been breached have lost their cases, or been unable to make a successful challenge due to a lack of record keeping. By creating and keeping comprehensive records, such as IP registration, NDAs and patents, you have absolute proof that your property belongs to you. Make sure that you understand how to protect any business IP – talk to a solicitor or your local Chamber of Commerce. Also make use of the wide array of IP information and forms available online. Simply-Docs have a wide selection of ready-to-use document templates that can help businesses to protect intellectual property – including copyright agreements, cease and desist letters, patents and more. Alternatively, to talk about how we can help your business, simply contact our friendly team today. Self-regulation of charity fundraising: will it work? Whilst the public supports UK charities with generous donations to help them provide a huge benefit to the community, many charities – some of them household names – have increasingly maximised their fundraising using methods which the public find unacceptable. It appears from the way that some charities act that they consider their admirable aim of raising funds to help their beneficiaries somehow justifies aggressive or other dubious means of fundraising by those charities. It might be deliberate policy of trustees to fundraise in that way. It might be that whilst charity trustees do not decide that their charity should act in that way, their fundraising staff or volunteers choose to be “over enthusiastic” or cut corners. Charities often engage commercial businesses as contractors to carry out fundraising for them. They are often paid on a results basis, and they may be incentivised by this to act in an “over enthusiastic” manner or worse. Whether it is the charity’s staff, volunteers or its contractors which are at fault, it remains the responsibility of the trustees to supervise them and to avoid unacceptable fundraising practices. It is understandable that charities want to maximise fundraising, and many of them have to compete with other charities for support from the public but the public is entitled to expect charities to use generally acceptable methods and to operate in a way which conforms to clear standards. However, even if one leaves aside the issues about moral or legal acceptability of certain fundraising methods, use of questionable methods by charities may be counter-productive for them: it tends to lead to public disapproval of those methods, charities lose public trust and confidence, their reputation suffers, and the public becomes more reluctant to donate to them. So, just in terms of pragmatism, in the long term it is therefore in a charity’s overall best interests to adopt acceptable fundraising methods. A survey carried out by Harris Interactive for the Third Sector website early in 2016 found that recent stories in the media about charities’ fundraising methods had made 22% of the public much less likely or slightly less likely to donate, and amongst those over 55, this rose to 35%. A great deal of media criticism has been directed at some charities’ fundraising practices in recent years, particularly since the case of Olive Cooke who died in May 2015 after being distressed and overwhelmed by requests from charities by post and phone for donations. As a result the Fundraising Standard Board investigated the issues raised by complaints received by the Board, and it made a number of findings. Over a third of the complaints related to approaches by charities being made to elderly people; it was felt that some charities targeted elderly people as a “soft touch”. Significantly over 40% of complaints concerned the frequency of requests for donations by particular charities. 70% of complaints related to direct mail activity. A substantial percentage of complaints related to the issue of whether consent to be contacted by a charity had been freely given, for example many opt in / opt out statements were difficult to read. A number of complainants also cited the fact that when they received a request by phone to donate, the script used by the charity during the call made it difficult for the recipient of the call to say “no” to donating. Also highlighted was the practice of charities sending free gifts with mail packs which recipents feel are a waste of the charity’s money and a means of inducing guilt if the recipient does not donate. Some people complained that despite being registered with the Mailing and Telephone Preference Services, they still received mail or calls from charities. Another major concern of the Board was that some charities communicated with actual or potential donors using contact data which, without the knowledge or consent of those donors, had been passed to those charities by other charities or by commercial organisations. Prior to the Board’s investigation about direct mail, email and phone contact with donors, there was also widespread criticism about the ubiquitous presence of (and sometimes intimidation by) so-called “chuggers” – those engaged by a charity to approach potential donors in the streets to collect cash donations or sign up donors to donate by direct debit. So, what changes are being made? The Harris Interactive survey found that there was a strong public appetite for tighter self-regulation of fundraising. As outlined below, controls on charity fundraising are now changing so that unacceptable fundraising practices will hopefully be eliminated or at least significantly reduced. All charities will now have to adopt acceptable means of fundraising. The Fundraising Regulator was set up in response to recommendations made in September 2015 by the Cross-Party Review of Fundraising Regulation. 45 of the UK’s largest charities agreed to contribute to the start-up costs of the new Fundraising Regulator. As from 7th July 2016, the responsibility for regulating charity fundraising passed from the Fundraising Standards Board (FRSB) to this new body which is now responsible for the self-regulatory regime for fundraising. The new Fundraising Regulator will deal with all new complaints raised about charity fundraising. This new body also takes control of the Institute of Fundraising’s Code of Fundraising Practice and the Public Fundraising Association’s Rule Book. For the first time, responsibility for all the different aspects of regulating fundraising will be centred in one organization. It will be able to take various steps in response to complaints which it upholds, including naming and shaming charities if it finds that they have not met the standards set out in the Code of Fundraising Practice. The Fundraising Regulator and the Charity Commission have recently signed an MOU which sets out the criteria to be met for the Regulator to refer complaints to the Commission. If a charity repeatedly fails to respond to the Regulator’s rulings, it will refer cases to the Commission so that it can consider whether there are serious shortcomings in the charity’s governance. The Cross-Party Review hoped that this beefed up new self-regulatory regime would lead to significant improvements in the fundraising methods adopted by charities. However, the Review also considered that it might yet prove necessary to implement statutory regulation of charities’ fundraising practices. Parliament therefore amended the Charities Act 1992 to create a reserve legal power for the Government to make Regulations compelling charities to comply with the requirements of a specified regulator. Under the new voluntary system, it is not compulsory for charities to sign up to be bound by rulings of the Fundraising Regulator. If this voluntary regulation fails, there is now power under the 1992 Act to make Regulations requiring charities to sign up to abide by the requirements of the Fundraising Regulator. The Regulator could in future thereby be given more teeth. Alternatively, Regulations could pass full responsibility for fundraising regulation to the Charity Commission. It remains to be seen whether the new system of self-regulation will work. Will there now be sufficient compliance by charities with the Code of Fundraising Practice on a voluntary basis, or do you think that the Government should have established statutory regulation now rather than wait to see how well the new improved self-regulatory system works? Most successful entrepreneurs reach a point at which they need to consider expanding their business. This could mean taking on extra staff, updating equipment, bringing in new technology, or moving to larger premises. A major sign of the need for expansion is the inability to fulfil orders on time – particularly where these were previously easily deliverable. This can be an indicator that there is general pressure within your business’ processes, rather than issues with an individual order. If these problems continue, both your business reputation and growth can be compromised. It could also mean competitors will take advantage, picking up orders that your business has turned away. You and your employees are working 10 to 12 hours a day just to stand still. You’re feeling pressured every time the phone rings. Workers are telling managers that their workload is problematic. If you do nothing in this situation, you risk losing employees and suffering from burnout yourself. Official statistics show the number of cases related to stress, depression, or anxiety in the workplace totalled 440,000 in 2014/15. Managers are so busy delivering on the order book that they don’t have time to keep on top of chasing unpaid invoices. You may well notice that cash flow is suffering as a result. Half of start-up businesses fail within five years and cash flow issues are the biggest reason. The introduction of new regulations, disruption from technological changes and changing market forces can all put an extra burden on you and your staff. As such, it may be necessary to take on a new employee in order to deal with various changes to the marketplace in which you operate. Three out of four customers say they spend more money when they get a good customer experience. So ensuring that you are able to meet – or exceed – client expectations can pay dividends in the long run. The alarm bells should start ringing if you notice negative comments on social media or an increase in the number of complaints. If your business is losing customers, you need to act swiftly to prevent a downward spiral. If you’re operating between piles of stock and paperwork, it’s time to take a look at bigger premises. If you’re operating from home, maybe you need to look at office space instead? 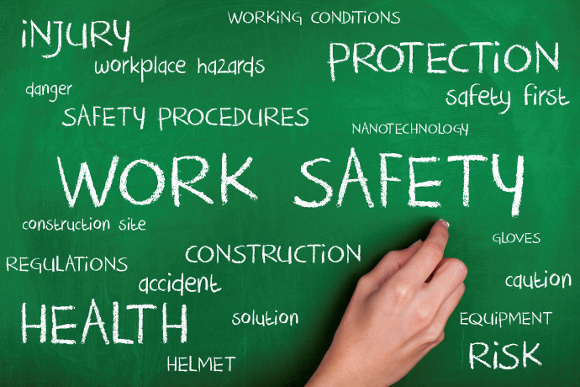 If you have recently taken on more employees, does your current premises have the required welfare facilities to meet health and safety legislation? These are all considerations that need to be made before making the decision to move your business. So, What Can You Do as Your Businesses Expands? There are several steps which can be taken to aid with the process of expansion. Outsourcing a number of roles is an excellent method for relieving the burden on overworked employees. Typical areas businesses look for help with are accountancy, marketing, social media, and administration. Alternatively, you could train staff to perform multiple functions to ensure that workload is spread more evenly. Could you expand into an adjacent unit or a larger unit on the same site? 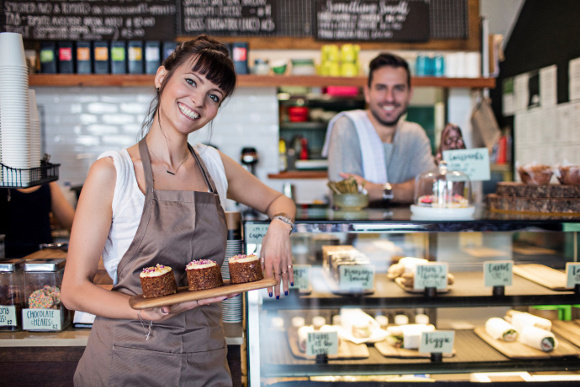 Getting larger premises is more straightforward if a business is dealing with the same landlord – and you don’t need to provide a new address to customers. Shared office space which can be hired by the day is a great option for start-up owners who have been operating from home. Simply-Docs provides ready-to-use documents and legal contracts ideal for businesses, including employment and health & safety documents. To talk more about how we can help your business manage a change of premises, simply contact our friendly team today. Could Flexible Working Hours Make Your Business More Profitable? Flexible working is an increasingly popular trend, fuelled by changing social dynamics and the ability for many professionals to carry out their work from virtually any location with a Wi-Fi signal. It refers both to flexible patterns of work as well as to the choice of working remotely from home or elsewhere. Flexible working is an attractive prospect for many employees who are parents with young children or have other caring responsibilities. Employers need to reasonably consider all requests for flexible working. A study by Vodafone UK has revealed that implementing flexible working could save UK businesses £34 billion. For example, hot-desking, where workers on different shifts share desks to maximise use of office space, can reduce rental costs. Businesses can save not only by renting less square footage but also in paying less for heating and lighting. As there’s no commute involved for homeworkers, employees could potentially be available to work earlier or later. A study by IBM into their own alternative workplace programme revealed 87% of employees believed their productivity and effectiveness had improved since they started working from home. However, employers must ensure homeworkers have an adequate and safe working space. For instance, implementing robust health and safety policies can avoid many problems which could otherwise be very costly in the long run. The benefits of allowing flexibility at work means that a wider range of people are able to apply for positions – including parents who need time to look after young children or semi-retired workers. Consequently, your business could gain an advantage by being able to select candidates with as wide a skill set as possible. Accessibility to a wider pool of potential employees can give your business the edge and ensure that the best candidates don’t end up working for a competitor. Flexible working boosts morale and reduces the risk of stress and burnout. A happier workforce is less likely to have a high turnover of staff and all the associated costs. On the other hand, failure to offer flexible working arrangements may also mean that employees take their skills and experience to a rival company with a more flexible approach. Acas notes that “New technology has … accelerated the opportunities for people to work from home and to stay in touch with colleagues and the emergence of a … ‘4G’ workforce has provided an extra dimension to the need for flexibility.” As the technology revolution gathers pace, it may be time to consider introducing or formalising flexible working policies to future-proof your organisation. Is opening a shop your dream? Do you long for the day you’ll have your own business and meet new customers every day? Be prepared for long hours and months of careful preparation before you can get your store up and running. Once you’re established, though, it’ll be a rewarding enterprise. How will you finance your business? Consider whether you’ll need a loan, or funding from a partner or investor. You need to know how much money you have for stock, premises, staff, marketing, and branding. Getting realistic figures for all these areas is important at the start of any business. Create your business plan and factor all your costs into it. What legal rules do you have to follow? For example, you’ll need public liability insurance if you’re opening a shop, and you’ll need to comply with food safety rules if you’re selling foodstuffs. You can’t decide what you’re going to sell, where you’re going to sell it, and how, until you’ve tested the market. There are various ways of doing this – look at statistics for retailers in your sector and anecdotal evidence from retailers in the places where you’re considering opening. When it comes to choosing your products, you have to ask the question: is there demand? You may wish to get a market research company to test the water for you. It’s also worth researching potential suppliers carefully for cost and quality. Creating a profile allows you to be focused in your decision-making. You’ll need to think about where they live, what jobs they do, their income and leisure habits, what their problems are, and how your business can solve them. How do they shop? Do your ideal customers like to browse in store, or do they make most of their choices online? Most retailers use a mixture of the two approaches. Most stores have online versions where customers can order products. Even without a store on a high street, you’ll need to think about product storage and how you’ll get your products to your customers. You’ll need to work out the cost per item. That includes raw materials, the cost of processing and packaging, staff costs, storage costs, the cost of power to your shop, the cost of business rates, and other business costs. Once you’ve done that, you can work out the mark-up you’ll need per item to make a profit. Don’t forget you need to draw up your terms and conditions of sale. Decide whether you’ll be writing and designing your own website, or whether you’ll call in a web designer and copywriter to give your site a professional polish. Will your designer buy the domain name and host it for you? Is there after-care in their price? If your site is an e-commerce one rather than just informational, take a look at some of the best-designed sites with good ratings on review sites and find out who created them. There’s nothing more frustrating to customers than an online shopping cart which doesn’t work. Finding the right location for a shop is vital. You’ll need to look at footfall in the area, the mix of other retailers around it, whether there are competitors close by, the kind of building you’re leasing or buying, the cost of the lease or mortgage, and the business rates. Will your premises need major refurbishment? This isn’t just about signage or letterheads. Your brand should extend from your shop and website, to your business cards and staff uniforms. How will complaints and queries be dealt with? How will your brand be managed on social media? Will you do that in-house or outsource it? Your staff are the first point of contact for your customers – you need people who will become advocates for your business. Selecting the right people is vital. How will your team blend together? It’s important to ensure you have some staff with prior retail experience. They will help you train those who are new to the sector. You should have a marketing budget to ensure your retail business is a success. There are various ways you could spend it – advertising in newspapers, in magazines, or on TV and radio, customer promotions, and marketing on social media. It’s important to have a plan, and to decide whether you need external help from a marketing or social media company. The hard work starts here! Simply-Docs has a range of customisable, ready-to-use documents which will help any retail start-up control their legal costs. They include customisable website terms and conditions, sale and supply of goods agreements, and internet, e-commerce and website agreements.